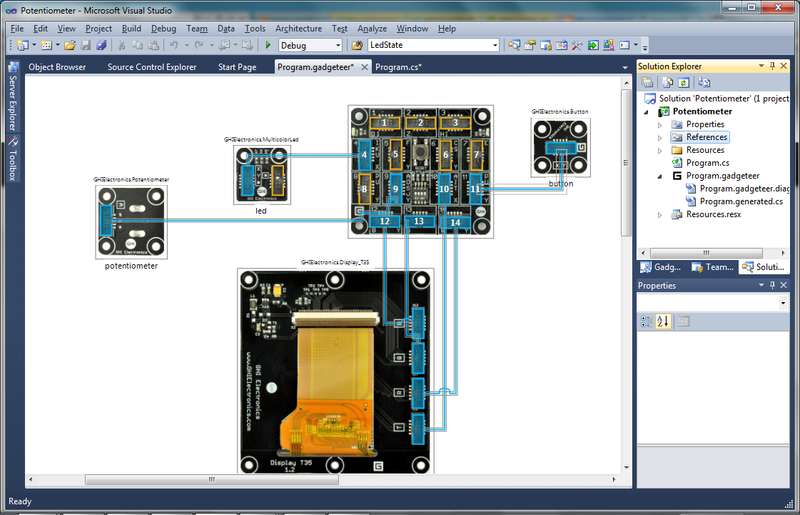 The modules are assembled in the Visual Studio .NET Gadgeteer Designer, including the GHI Electronics Potentiometer, a MultiColor LED, a button, the Display_T35, and GHI Electronics Fez Spider Mainboard. The voltage of the potentiometer ranges from 0 – 3.3 volts. With each tick of the timer a pixel on the display is lit that corresponds to the voltage on a y axis scaled to the height of the display. 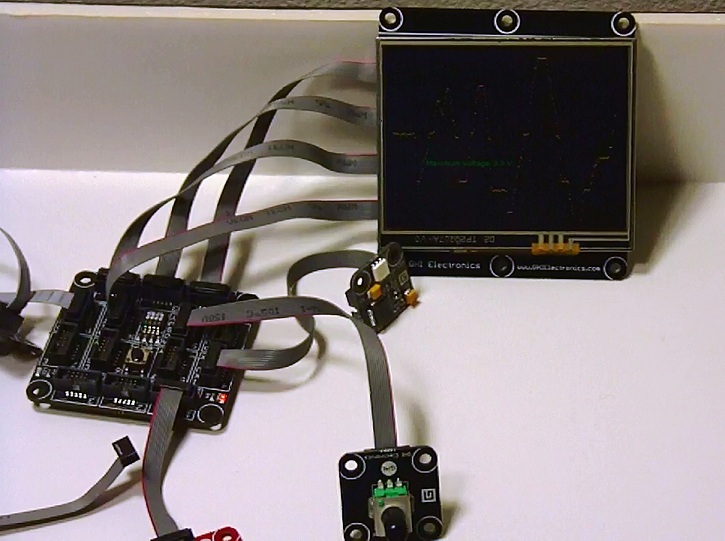 The position on the x axis advances one pixel with each timer tick. The work is done in the timer tick event handler. 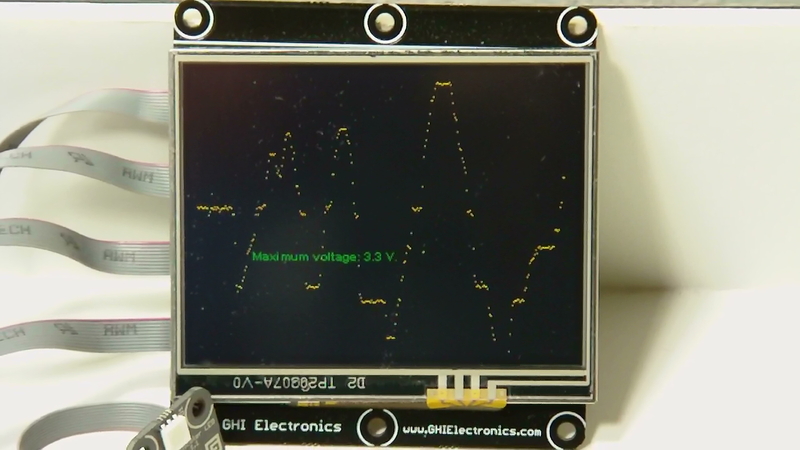 uint graph_y = (uint)((100 * voltage)*.73); // Scale the voltage to size of display. The complete application code is in the Program.cs file as follows. 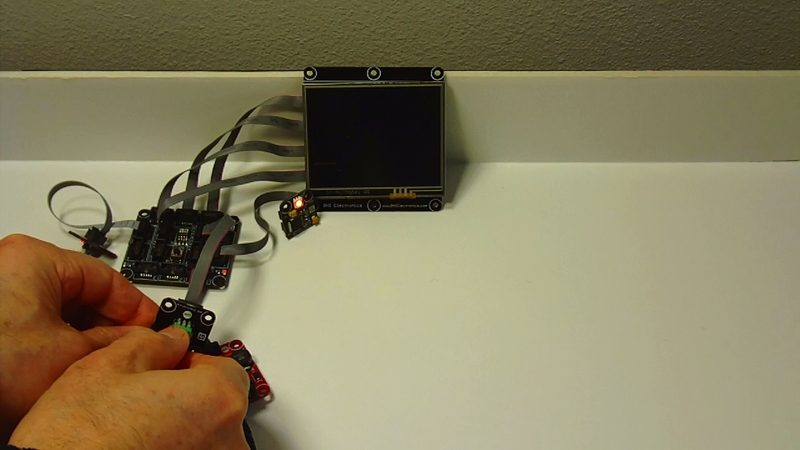 This entry was posted on October 19, 2011, 5:13 PM and is filed under Embedded Microcontrollers. You can follow any responses to this entry through RSS 2.0. You can leave a response, or trackback from your own site.